Intergas has been at the forefront of domestic boiler manufacture in the Netherlands for over 40 years; its roots, however, go back to 1939, when it was involved in domestic products of quite a different kind. Then the company was known as Machinefabriek van de Wetering and it specialised in manufacturing wooden washtubs and laundry wringers. With the discovery of natural gas in the Northern part of the Netherlands, the company moved to Coevorden in 1961 and, in the mid-sixties, produced its first heating products. 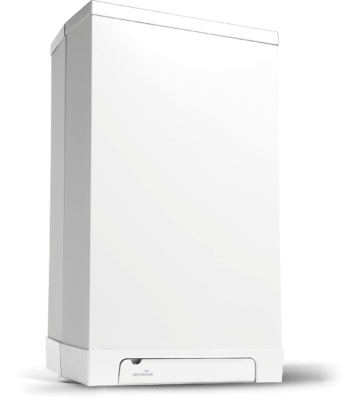 In 1989 Intergas launched its first condensing boiler in the Netherlands. This was the first country to take the energy efficiency credentials of boilers seriously and this propelled Intergas into pole position, becoming the leading brand in condensing boiler technology.